Crown Prince Hirohito & King George V, London, 1921. 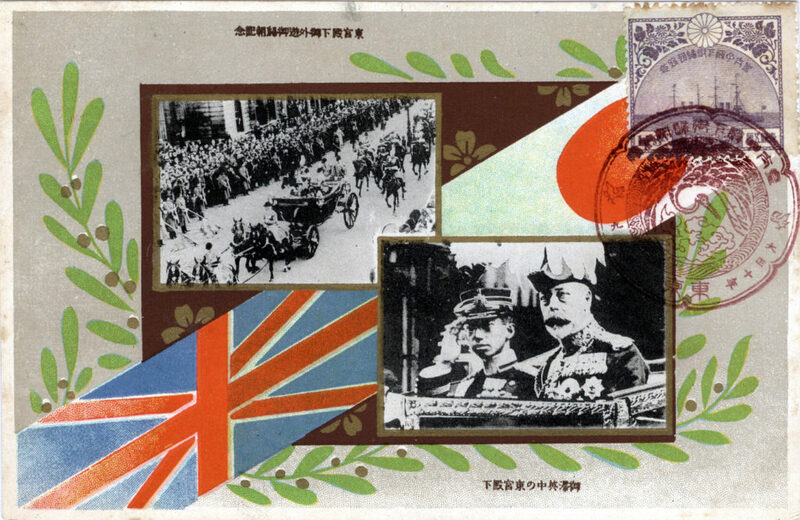 “While Hirohito’s European sojourn thus marked another important symbol of Japan’s new status as a world power, it focused, in particular, upon the most critical immediate lesson of [World War I]. 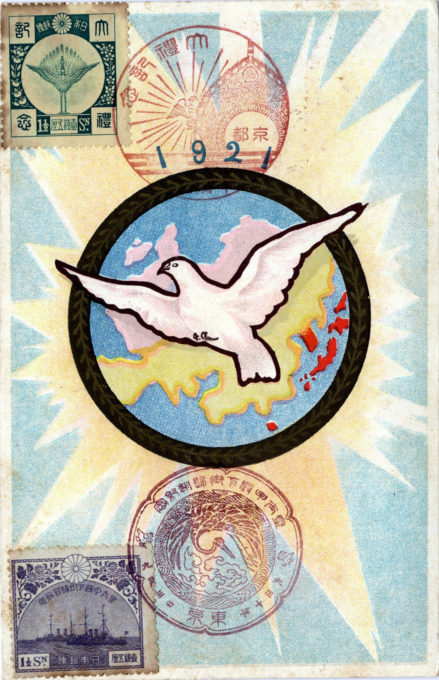 As Vice Minister Ishihara noted even before trumpeting Japan’s new status [as a world power], following his trip to Britain the crown prince would tour all areas of the continent most directly affected by the war. “The visit had, in fact, been moved up on the calendar so that the prince could see the ‘raw remnants of wartime devastation’ as soon as possible after the end of hostilities. Hirohito’s well-publicized six-month tour of Europe, in other words, marked the most powerful expression of a new official sponsorship of peace in 1920s Japan. 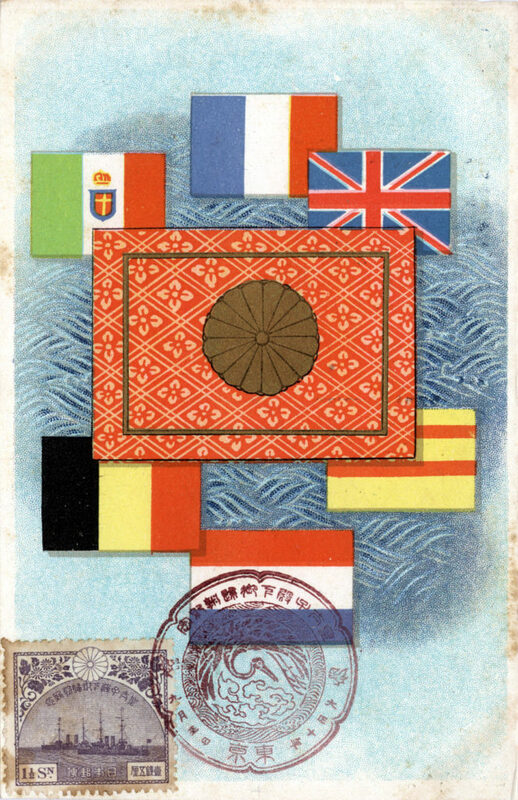 Crown Prince Hirohito’s destinations in Europe during his six-month 1921 tour included Great Britain, France, the Netherlands, Belgium, and Italy. From the wiki: “In March 1921 Hirohito, accompanied by a large retinue, set off for a tour of Europe. The event was unprecedented, for it was the first time a crown prince of Japan had visited abroad. Although Hirohito traveled in France, the Netherlands, and Italy, his visit to England made the deepest impression on him. He was attracted by the freedom and informality of the English royal family. On Hirohito’s first day at Buckingham Palace, King George V paid him an unexpected breakfast visit in suspenders and carpet slippers, and Edward, Prince of Wales, played golf with him and accompanied him on a round of official gatherings. “Late in his life, Hirohito would describe his visit to England as the happiest time of his life. In England he felt freedom from all the rigors and stiffness of court life in Japan. He was impressed by the relative informality of England’s royal family. He felt that King George V was treating him like a son. He observed the mixture of casual attitude and affection that the English people had for their king – rather than the awe that the Japanese had toward their emperor. And he observed the freedom that the British press had in publishing matters related to the royal family – a freedom that went as far as slander. 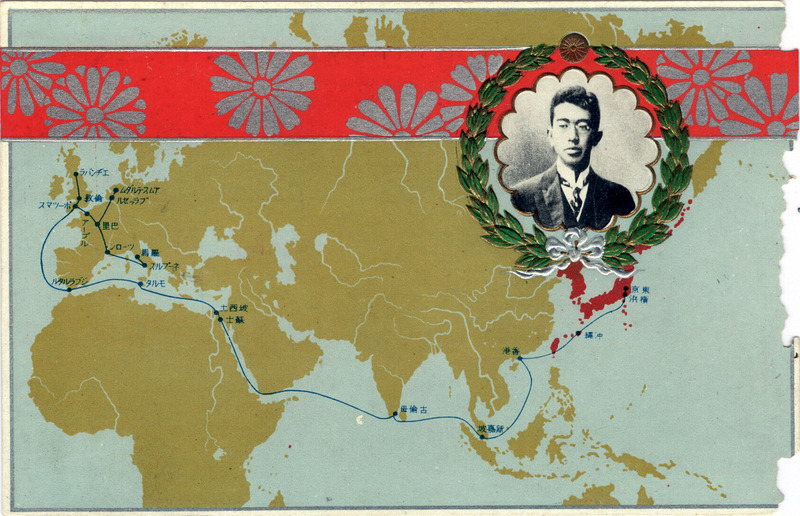 Travel map of Crown Prince Hirohito’s voyage to Europe and overland Continental destinations, 1921. Crown Prince Hirohito at Oxford, 1921. 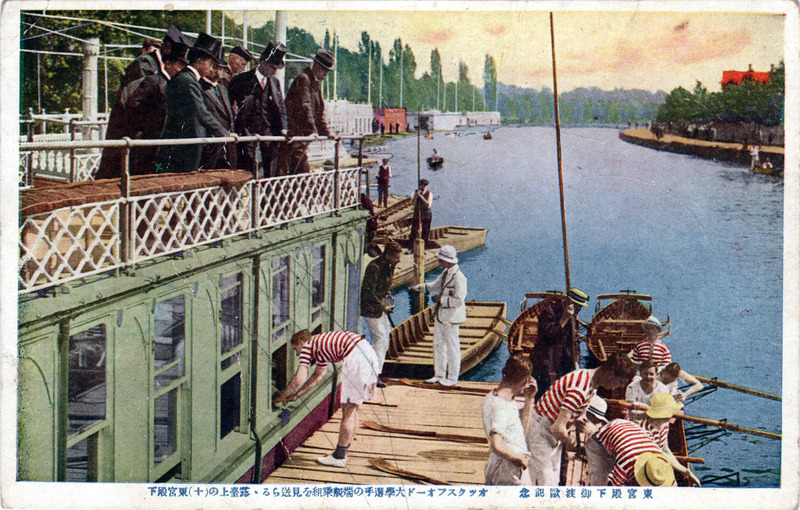 Commemorative postcard of Crown Prince Hirohito’s tour of Europe, 1921. “In 1921, Crown Prince Hirohito became the first member of the Imperial family to leave Japanese soil; the year his name first appears in the Henry Poole & Co ledgers. On 3rd of March 1921, Prince Hirohito boarded a 16,000-ton battleship destined for a state visit to Britain and a tour of continental Europe. He would remember the six-month trip as the happiest time in his life. “The Prince, presumably on the advice of the Palace, the British Ambassador or the Foreign Office, cabled Henry Poole & Co who dispatched a company representative to Gibraltar to meet the Prince’s ship. The man from Poole measured him up and cable back instructions to Savile Row to tailor a Western wardrobe in time for Prince Hirohito’s arrival in London. Prince Hirohito was subsequently photographed with the then Prince of Wales (later Edward VIII) at St James’s Palace wearing immaculately tailored Henry Poole & Co white tie and tails. – Henry Poole & Co.